James Last 93% of all Germans know James Last. His music is heard in 150 countries. In addition to numerous awards such as the "Golden Europe", the "Golden Camera" or the "Echo Life Award 1994", to name but a few, the world's most successful bandleader has collected 17 platinum and 206 gold records alone to date. His life is music The breakthrough on the music market came in 1965 when orchestra director James Last received the furious LP success "Non Stop Dancing", but the musical career of "Hansi" Last began in 1939 with the first piano lessons. In Germany the Second World War and the youngest son of the Bremen family Last raged, two older brothers were already working in armament factories - they had advised: "Make sure you study music, then you don't have to go to the factory. Conducting at the opera, conducting a symphony orchestra - Hansi had these goals in mind when he began his music studies at the army music school in Bückeburg in 1943, his favourite instrument became the bass. But even he could not escape the jazz and swing boom in post-war Germany. In 1946 he becomes - like his brothers Robert and Werner - a member of the newly founded Dance and Entertainment Orchestra of Radio Bremen. From then on he led a double life as a musician - as a successful orchestra musician on the one hand and as an excellent jazz bassist, who from 1950 to 1952 was voted best bassist of the respective year by the German Jazzpoll. "Non Stop Dancing" - the first LP production of the James Last Orchestra stormed the charts in 1965. A new sound was created that hit the nerve of the audience right away. The recipe: Swinging, optimistic and melodious music, underscored with party atmosphere. 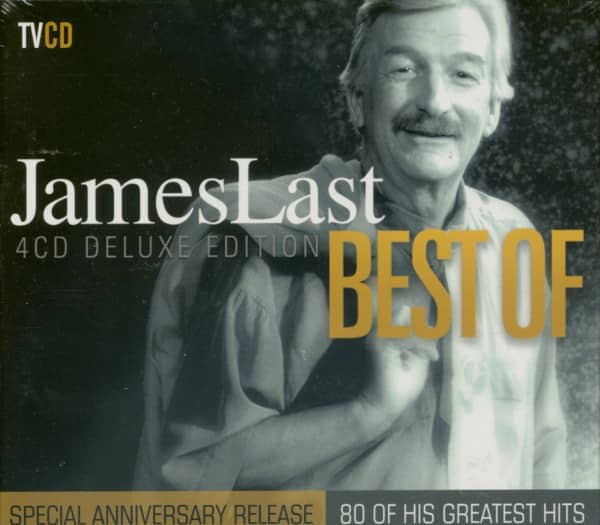 That James Last is not only an extraordinarily successful but also an extraordinarily hard-working and versatile composer and arranger becomes apparent in the following years. 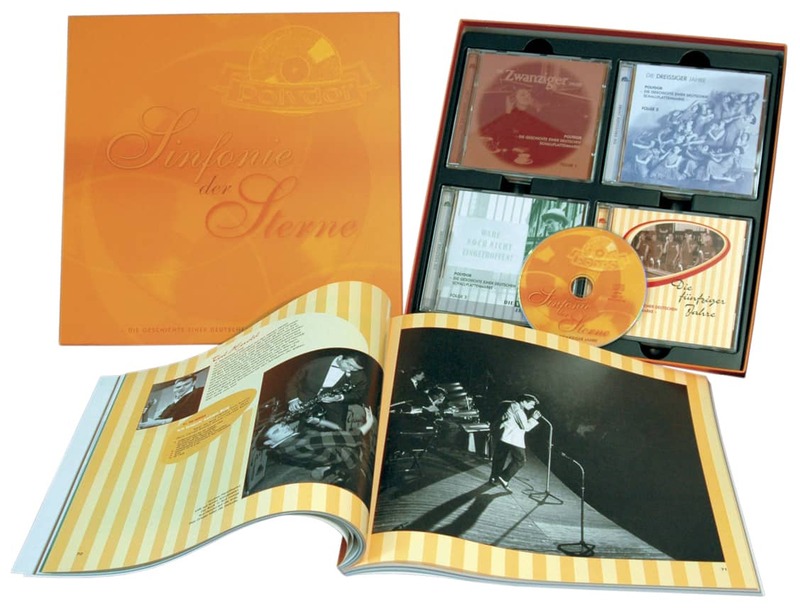 In 1967, four LPs placed on the first places of the English hit parade, one award follows the next: in 1969, 1970 and 1971, the German music poll voted the band the "most popular orchestra" of the year. One tour follows another, James Last is a celebrated guest on many continents. Europe, Asia, Africa, Australia and New Zealand are on the tour program. In between James Last finds the time to record up to twelve (!) records a year, he arranges and composes in every free minute. His sound is myth His diligence and his perfectionism pay off, Hansi is literally showered with awards and prizes: in 1978 he receives the Federal Cross of Merit with Ribbon from the then Federal President Walter Scheel, in 1979 the "Golden Camera" of the magazine "Hör Zu". He becomes a star of the national and international music scene, his sound a myth, and yet he always has both feet on the ground. His modesty is one of his trademarks, James Last does not know star airs and graces. He feels privileged only because he could always do what he enjoys most: music. "I have always made music that I liked and then found that many people like what I like," he tries to explain his gigantic success. "My special talent, if you will, is to hit the hearts of the audience with my music." It hits - also in the hearts of other world stars. His composition "Games That Lovers Play" is recorded in 100 different versions all over the world, by artists like Conny Frabcis or Ray Conniff. And musical composer Andrew Lloyd Webber speaks of Hansi's version of "Don´t Cry For Me Argentina" as the best arrangement of his song "ever written". 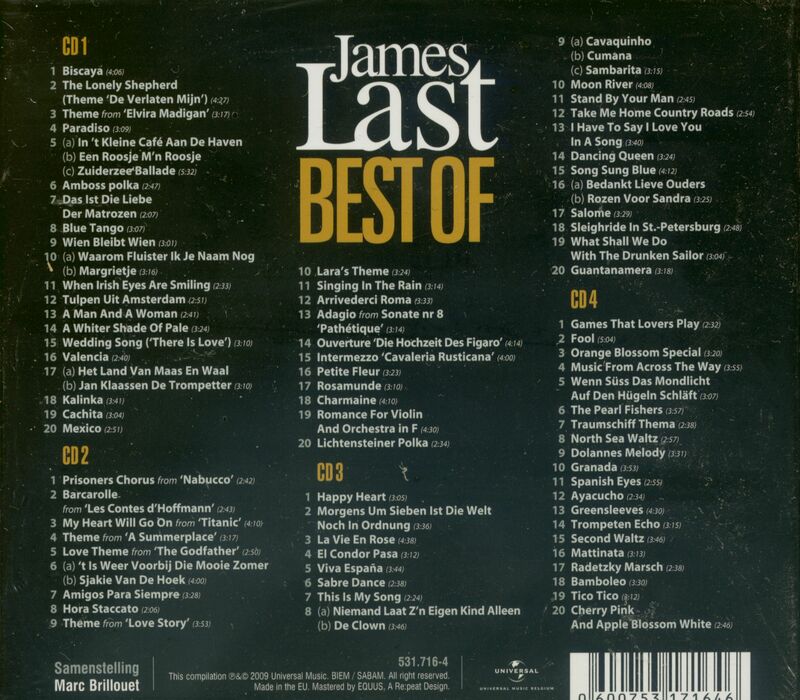 Other artists come and go - James Last also rides the wave of success in the eighties. At the beginning of the nineties TV shows and galas are on the agenda, but the German James Load fans also wait in vain for a German tour. It was not until 1997 that the "Bremen-based Jung´", who now lives in Florida, returned to the big German halls and was celebrated enthusiastically at 16 concerts in East and West. Customer evaluation for "Best Of ... 4-CD"